Important Notice: Brian Vike, Canadian UFO investigator and owner of “The Vike Factor”, “The Vike Report” radio show and editor of the “Canadian Communicator Magazine” and past owner of HBCC UFO Research has been re-posting his large UFO cases on the main blog. A lot of these cases have audio reports (telephone interviews Brian Vike did with eyewitnesses) which can give a lot more detail to a UFO sighting than just the text report. From the two year major UFO flap in British Columbia and other large cases all across Canada, the United States and Worldwide, Brian Vike brings sighting reports of unusual lights, saucer shaped UFOs, gigantic football sized Black Triangle craft, military sightings around sensitive bases and on and on it goes. Brian received “thousands” of sighting reports over the years and so many of them turned out to be amazing cases. I thank everyone who filed their sighting as they were all so very interesting. Brian Vike - The Vike Factor. I have been posting a few ghost stores that I have received while investigating UFOs and other areas of the paranormal. If you have had a Ghostly encounter and would like to share your experience with the readers in this Haunting month of October, please do send along your spooky experience. (From Brian Vike’s UFO Files) Posted by Brian. Hi, on December 31, 2012 we saw a reddish orange object high in the sky. It was cigar shaped. It came from the north and I watched it coming closer and closer. Then it went east. 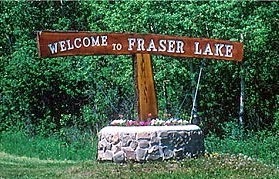 We live in Fraser Lake British Columbia, Canada. No we where not drinking. This happened at 9:15 p.m. It was not a Chinese lantern. Contest Closed – We have the 5 winners. Thank you to everyone. Just in the Halloween month of October, the first 5 people who contact me, with your full name (first and last) and your complete postal mailing address will receive a free copy of the documentary, “The Castle Project: Denver’s Haunted Mansion”. Cinema Libre Studio has was kind enough to allocate 5 DVDs to give away. I will be collecting the 5 names and postal addresses of the winners and forwarding them on so the DVD can be mailed out by United States Postal Service. I don’t expect this will take long to receive the 5 people, but good luck to the first 5 folks who write in. Write to Brian Vike with your mailing details at sighting@telus.net to enter. Los Angeles, CA (September 25, 2013) – Would you buy a haunted house if it came on the market? Despite a colorful history involving tales of Satanism, mysterious deaths, eerie noises and ghostly sightings, architect Brian Higgins and business partner Travis McAfoos were compelled to purchase the 19th century Croke-Patterson mansion in Denver, Colorado. 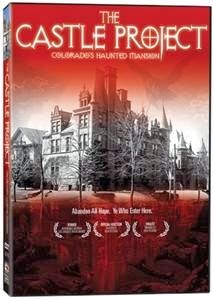 The Castle Project: Colorado’s Haunted Mansion is their odyssey into the paranormal as they renovate the stately brick mansion into a bed & breakfast. The documentary film will be available on DVD and VOD platforms on October 1, 2013, just in time for Halloween! The building’s most notable haunting activity occurred during the 1970’s when the dwelling was undergoing renovations to convert it into office space, which some believed to have disturbed the spirits. After completing work, the construction crews would return the following day to find their work from the day before, undone. After several instances, the contractor purchased a pair of Doberman Pinschers as guard dogs. Soon after, the workers arrived to find the dogs lying dead on the sidewalk after jumping from a closed third floor window. It wasn’t long into the more modern renovations that architect Higgins’ crew started to notice some odd occurrences and he picked up a camera, resulting in his directorial debut. “Once I had read all the stories on the Internet of the Croke-Patterson Mansion, I realized that somebody needed to make a movie about this. It seems like every past owner I came in contact with had a story to tell. Could there possibly be any truth to these stories?” says director Brian Higgins. At the outset, Higgins set up a camera doubtful of discovering anything. After the discovery of a dead, mutilated cat followed by workers who claimed to have seen of ghostly apparitions, he moves into one of the upstairs bedroom, by his lonesome while the camera records. Soon, bats are appearing from nowhere and he hears whispering voices through the halls. And then there’s an unexplained fire. Is the house really haunted? Architectural clues and artifacts found within the walls and foundations allude to a very “otherworldly” blueprint and soon the paranormal investigators and spiritual experts are brought in to investigate. The historic Croke-Patterson Mansion in Denver, Colorado was long-rumored to be haunted by the cries of babies buried in the basement. The original owner built the Chateauesque-style home in 1891 and lived there for six months before falling victim to the Silver Crash of 1893. Ill fortune visited upon subsequent owners during the 120-year‐long history of the house as they experienced otherworldly phenomena that included apparitions, whispering voices, peculiar odors, failed exorcisms and guard dogs jumping through windows to their death. When architect Brian Higgins and partners purchase the home for renovation, they are skeptical of the home’s tragic past. But soon workers begin to experience sightings of ghostly children, unusual temperature changes and whispering voices. Workers fall ill and one team member dies while an unexplained fire threatens the project’s completion. Paranormal investigators are brought in and they identify several generations of spirits who remain trapped in the house. Higgins had the foresight to begin filming, and after several hair‐raising nights spent alone in the building he began to wonder if there was a reason why souls never checked out at the Croke‐Patterson Mansion. About Cinema Libre: Cinema Libre Studio is a leader in distributing social-issue documentaries and features by passionate filmmakers. Headquartered in Los Angeles, the Cinema Libre team has released over one hundred films including the Sundance Audience Award‐Winning Fuel, The End of Poverty?, Rachid Bouchareb’s London River and Oliver Stone’s South of the Border. The studio is developing John Perkins’ best‐selling memoirs, Confessions of an Economic Hit Man, into a major motion picture. For more information and updates, please visit: www.cinemalibrestudio.com| Updates | Facebook | Twitter.